Canada is home to the world’s most majestic whale species – from the Humpback to the Blue Whale. Unfortunately, many of these beautiful animals are threatened or endangered. We need to do our part to save these animals. And to do that, we need to do a little digging to uncover where exactly these whales spend their time while in Canadian waters. Then and only then, will the government be able to establish protected areas around sensitive whale habitats. 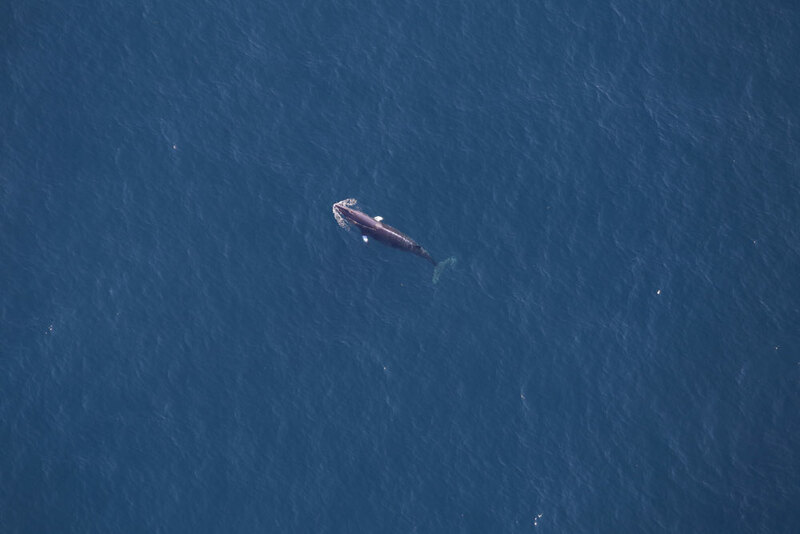 This summer, the Canadian Wildlife Federation is following the Whales, Habitat and Listening Experiment (WHaLE) Project as they use state of the art underwater drone technology to search for Canada’s Great Whales in the Northwest Atlantic Ocean. 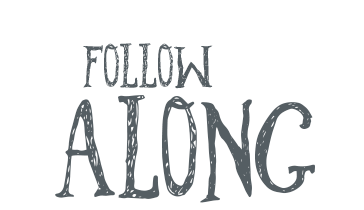 Follow along as we discover North Atlantic Right Whales, Humpbacks, Blue Whales and so many more. In the summer of 2016, three gliders (unmanned underwater drones) will slip into the Atlantic Ocean and will glide through the waters with the missions to detect and record whale sounds. Equipped with hydrophones (underwater microphones), they will listen for the whales. 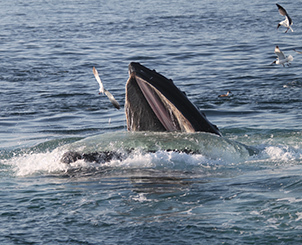 When whales are heard, the types of whales and their location are transmitted to the Whale, Fish and Particle Lab at Dalhousie University for validation. Next, they’ll alert regional ship traffic and even the Navy to the locations of these whales in near-real time. 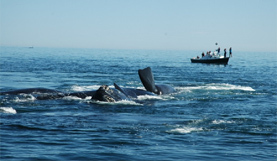 We hope this information will help ship traffic avoid collisions with whales. The WHaLE project and their many partners have some pretty cool tools to do this important work. Hyrdrophone recorders and gliders are some of the more high tech gadgets used to discover and monitor the whales, but some others you might be able to find in your own home! Rummage through our toolbox! 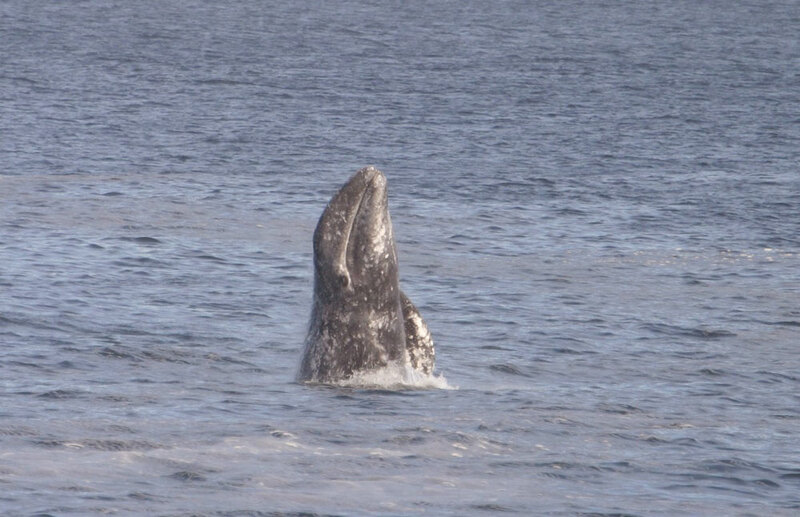 Typically, researchers look for whales from boats or airplanes using binoculars. This is a difficult task, because whales spend most of their time underwater and out of sight. However, with years of training, an observer can spot a whale among the waves when they come up for air, and identify species by subtle differences in their shape and markings. In some species, each individual has distinct markings, and observers keep photographic catalogues of these animals to track their movements and populations. Whales make unique sounds that can be recorded by hydrophones. 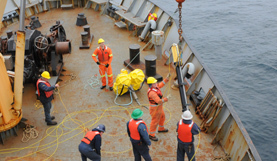 This summer, researchers have attached 30 hydrophone recorders on the sea floor across the continental shelf and shelf-break from the Labrador Sea to southern Nova Scotia for year-round recording of whale sounds. 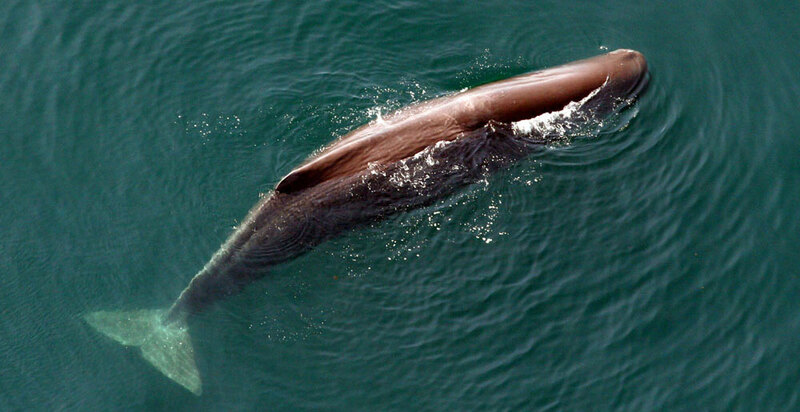 Scientists are beginning to peer into the deep-sea habitats of whales using gliders. Not only are the gliders equipped with hydrophones to record whale sounds and transmit the data, they are also equipped with other instruments to measure features of whale habitat like temperature and food in the water column. Researchers will use this information to explain where and why certain species use these areas, and to help with conservation planning. 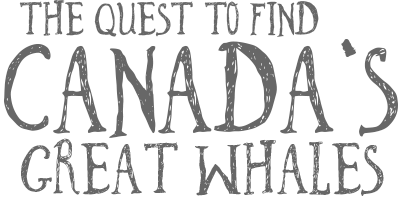 This website represents a partnership between the Canadian Wildlife Federation, the MEOPAR WHaLE project, twitter @meoparwhale, Fisheries and Oceans Canada – Oceans and Ecosystem Science Division, the Canadian Whale Institute, the Ocean Tracking Network, and the Woods Hole Oceanographic Institution that pioneered the real-time whale detection and classification system used onboard the gliders (see more real-time data from Canada and the US at dcs.whoi.edu, twitter @robots4whales). The WHaLE project is supported by 20 collaborating organizations. Content for this website was prepared by Kim Davies, Sean Brillant, Hilary Moors-Murphy, Moira Brown, Christopher Taggart, Hansen Johnson, Delphine Durette-Morin, Danielle Moore, and Mark Baumgartner, with the help and support of many others. Right whale photos were kindly contributed by the Canadian Whale Institute and the New England Aquarium. Which whales are you hoping we’ll find? There are more than 30 species of whales, large and small, that can be found in Canadian waters. Of these, the 10 largest are the “great whales. ” As whales spend most of their time underwater, they use sound to communicate, navigate and some use it to find food. 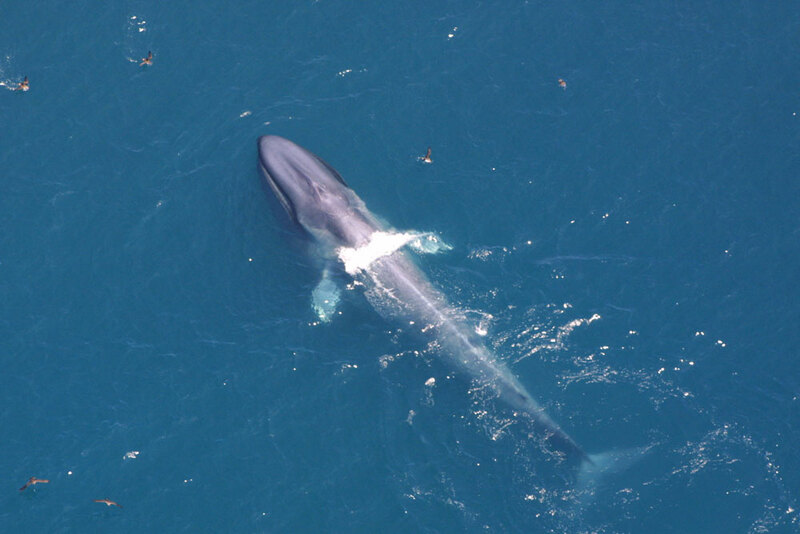 Some species, like the Blue Whale, make very simple, low frequency sounds that they use to communicate with each other over great distances, sometimes hundreds of kilometres. Other species have a varied sound repertoire. 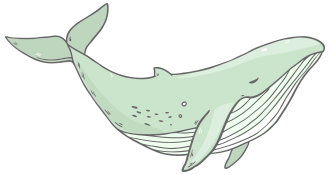 The Humpback Whale, for instance, sings songs that change every year. Find out more about each of these species and listen to their beautiful sounds here. Cool Fact: The western Pacific population is critically endangered, while the eastern Pacific population thrives at over 20000 individuals. 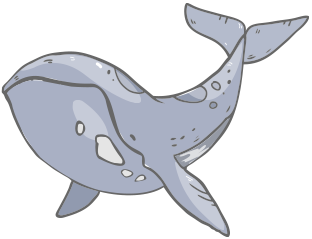 They are the only great whale to feed on tiny crustacean zooplankton that live on and in the mud on the seafloor, which they eat by turning on their side and gulping sediment. Cool Fact: Females create lasting ties to one another. On average, 12 females and their young will create a family unit. »» It is the only great whale that has teeth. Range: Shallow coastal sub-tropical to sub-Arctic waters of the Northwest Atlantic Ocean. Minimizing harm to whales requires knowing where they are, so that we can reduce the harmful effect of human activities that may threaten them and also help the government establish protected areas around sensitive whale habitats. There have been some important whale habitats in Atlantic Canada that have become Marine Protected Areas, however they make up less than one per cent of the Atlantic Canadian continental shelf. How do we protect the whales from threats for the remaining shelf area? The Government of Canada is stepping in and has committed to conserving 10 per cent of Canada’s oceans as Marine Protected Areas by 2020. The information that we collect with these surveys will be critical to establish protected areas so we can conserve more whales. Ship strikes are a leading cause of known mortality for large whales, and all large whale species have been reported struck by ships. Many different industries operate large vessels that pose a risk to whales, including the shipping industry (did you know that 90 per cent of all our goods are transported by ship? ), oil and gas (tanker transport), military, cruise ships, coast guard and recreational vessels. The risk of ship strikes increase where whale aggregation areas intersect with shipping lanes and lethal strike increases with ship speed. Studies have shown that baleen whales do not avoid oncoming ships, or may even exhibit behavioural responses that increase their risk, like rising to the surface. Thankfully, some sensitive whale habitats have speed restrictions and rerouting measures in place to help reduce the risk. 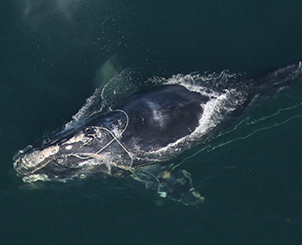 Fishing gear entanglements are a major source of mortality among whales, and an entangled whale can suffer by dragging fishing gear for extended periods. 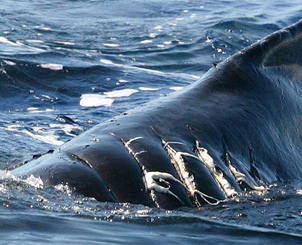 While some whales are able to disentangle themselves, others, sadly, die as a result of entanglement. Entanglements can occur in several different kinds of fishing gear, including longlines, drift nets, traps, pots or gillnets. Endangered North Atlantic Right Whales are especially vulnerable to entanglement – indeed, 75 per cent of Right Whales show scarring on their bodies consistent with entanglement. There are currently no fishery regulations to protect these animals from entanglements in Canada, although fishermen do their best to take measures that will reduce the risk. Whales use acoustic communication to find each other in the vast ocean, while some also use acoustics to navigate and find food. And they rely on a quiet ocean acoustic communication space to communicate and locate prey. Unfortunately, many marine industries produce large amounts of noise within the same frequency bands as whales. 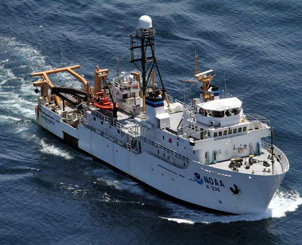 For example, seismic oil and gas exploration uses large amounts of high acoustic energy to search for underground oil reserves, military use sonar to locate ships and submarines, and the engines of large vessels produce loud low frequency noise. These sounds may damage whale hearing, reduce their communication space, and disturb their natural behaviours. Large whales migrate among calving grounds in the tropics and subtropics, to feeding grounds in temperate and sub-arctic regions, where large biomass of their food, zooplankton and small fish, are abundant. Researchers know that the distribution and migration patterns of our whales depend on the location of their prey. As our climate warms and our polar ice caps melt, the ocean circulation patterns are expected to change. We’re concerned that it will alter the location of the prey they so greatly rely on, and therefore impact the whales. 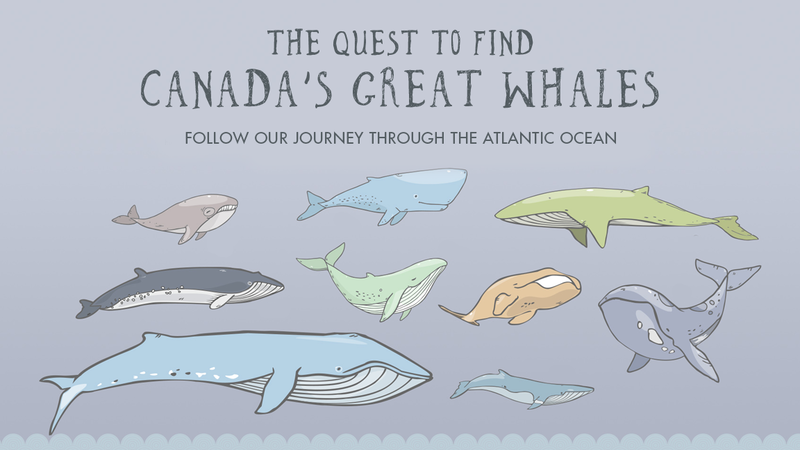 We want you to come along on our quest to find Canada’s great whales. This map is the key and we’ll have to come back to it often to stay on top of these elusive mammals. The lines on the map will indicate the gliders as they search high and low for the whales, while the points on the map are the whales themselves and where they’ve been heard! We’ll be posting throughout the summer all about our findings, the threats that whales face and the unique lives they lead! Read your first blog post here! Sign up to be alerted when we hear a whale! Are you a teacher? Get your students inspired about these majestic mammals and the watery world they live in with our education units. The Canadian Wildlife Federation is committed to conserving Canada’s great whales and the habitat they call home. This project, and others like it, will help to make a difference for these majestic marine animals. But we need your help. Each donation, no matter how small, will help Canada’s wildlife. When you become a Special Friend of Wildlife, your monthly donation will be going towards wildlife like the Right Whale and Blue Whale. Help Canadian wildlife thrive with your donation. Canadian sailors enjoy so many special connections with the water. Making smart decisions when enjoying activities in and around the water is critical. Download or order CWF’s Best Practices on the Water guide to learn more. 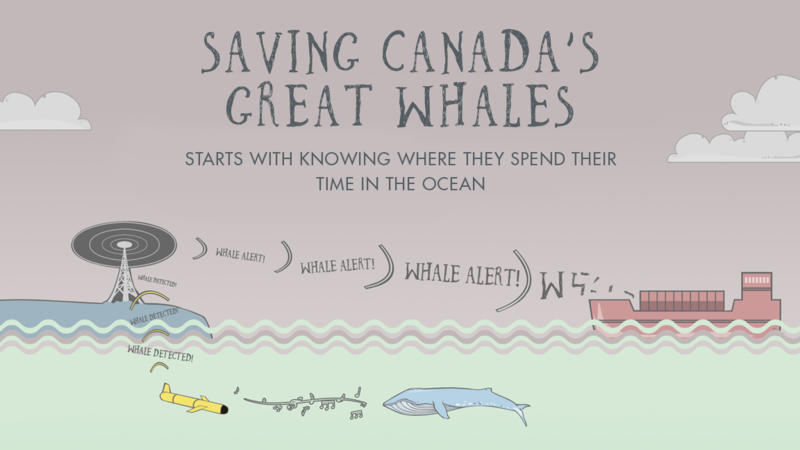 If you are a teacher, we hope you will include a lesson plan or activity that will inspire your students to care for Canada’s whales and the habitat they call home. We invite you to use these lesson plans in your classroom. Share these posts on your Facebook, Twitter or Instagram account and show your friends just how much you care about Canada’s marine mammals. © 2017 Canadian Wildlife Federation. All Rights Reserved.